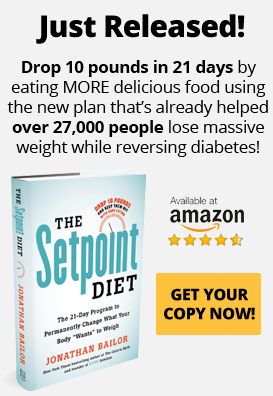 Will YOU Be The Next SANE Setpoint Diet Success Story? TIP: Get inspired by more success story videos by clicking the menu icon in the upper left of the video player. The icon looks like stacked horizontal lines. Ready To Start Your Own Success Story with a Personalized SANE Plan? Find out which Premium Weight Loss Program is the perfect fit for your goals, budget, and body. If you are ready to begin, click the button below to lower your Setpoint Weight and enjoy permanent weight loss… guaranteed! Yes! I am ready to lower my Setpoint Weight and to become naturally thin. * Testimonial Disclaimer: All testimonials were written by actual members of SANE Solution and participants in the SANE Setpoint Diet. Results may vary. Please consult a physician before beginning any exercise or diet program. Jayne's SANE Story: Down 20lbs and Not Looking Back! https://sanesolution.com/wp-content/uploads/2019/01/JayneM2.jpg 562 752 TeamSANE https://pages.sanesolution.com/wp-content/uploads/2018/01/sanepages-logo.png TeamSANE2018-04-24 16:16:552019-01-10 19:21:09Jayne's SANE Story: Down 20lbs and Not Looking Back! Jean's SANE Success: Down 45lbs and Feeling Amazing! Jerri's SANE Story: Down 29 Inches in 3 Months! https://sanesolution.com/wp-content/uploads/2018/12/Jerri.png 1114 1697 TeamSANE https://pages.sanesolution.com/wp-content/uploads/2018/01/sanepages-logo.png TeamSANE2016-02-20 18:00:312018-12-26 18:05:53Jerri's SANE Story: Down 29 Inches in 3 Months! Doug’s SANE Story: Dropped 25lbs and His Risk of Diabetes FAST! https://sanesolution.com/wp-content/uploads/2019/01/DougM.jpg 403 840 TeamSANE https://pages.sanesolution.com/wp-content/uploads/2018/01/sanepages-logo.png TeamSANE2016-02-18 16:23:382019-01-10 19:18:58Doug’s SANE Story: Dropped 25lbs and His Risk of Diabetes FAST! Kathryn's SANE Story: Feeling Better and Seeing Results with SANE Nutraceuticals! https://sanesolution.com/wp-content/uploads/2019/01/Kathryn.jpg 498 377 TeamSANE https://pages.sanesolution.com/wp-content/uploads/2018/01/sanepages-logo.png TeamSANE2016-02-15 16:58:522019-01-10 17:11:06Kathryn's SANE Story: Feeling Better and Seeing Results with SANE Nutraceuticals! Pete's SANE Story: Enjoying Retirement with 66 Pounds Gone! https://sanesolution.com/wp-content/uploads/2016/02/Pete1-227x300.png 300 227 7728pwpadmin https://pages.sanesolution.com/wp-content/uploads/2018/01/sanepages-logo.png 7728pwpadmin2016-02-10 17:27:412018-09-01 12:27:16Pete's SANE Story: Enjoying Retirement with 66 Pounds Gone! Andrea's Story: Being the best version of me for my family and my life! https://sanesolution.com/wp-content/uploads/2016/02/andrea.before.after_.png 363 293 TeamSANE https://pages.sanesolution.com/wp-content/uploads/2018/01/sanepages-logo.png TeamSANE2016-02-10 09:00:502018-07-24 22:24:22Andrea's Story: Being the best version of me for my family and my life! Jay's Success Story: Goodbye 97lbs & Pre-Diabetes! https://sanesolution.com/wp-content/uploads/2017/05/Jay-before-and-after-1.jpg 406 296 7728pwpadmin https://pages.sanesolution.com/wp-content/uploads/2018/01/sanepages-logo.png 7728pwpadmin2016-02-02 21:06:192018-07-24 22:24:23Jay's Success Story: Goodbye 97lbs & Pre-Diabetes! 21-Day SANE Setpoint Diet: Davina Stuart Lost 13 Pounds in 3 Weeks! https://sanesolution.com/wp-content/uploads/2015/02/Davina2-300x271.png 271 300 7728pwpadmin https://pages.sanesolution.com/wp-content/uploads/2018/01/sanepages-logo.png 7728pwpadmin2015-02-16 21:11:572018-09-03 14:40:1421-Day SANE Setpoint Diet: Davina Stuart Lost 13 Pounds in 3 Weeks! https://sanesolution.com/wp-content/uploads/2015/02/Lillian2-705x547.png 547 705 7728pwpadmin https://pages.sanesolution.com/wp-content/uploads/2018/01/sanepages-logo.png 7728pwpadmin2015-02-16 20:38:002018-09-03 14:40:5721-Day SANE Setpoint Diet: Lillian Ashton Dropped 12 Pounds in 3 Weeks! 21-Day SANE Setpoint Diet: Evelyn Lewis Drops 3 inches In Her Waist in 3 Weeks! https://sanesolution.com/wp-content/uploads/2018/10/Evie.jpg 398 301 TeamSANE https://pages.sanesolution.com/wp-content/uploads/2018/01/sanepages-logo.png TeamSANE2015-02-15 20:31:572018-10-02 20:45:1421-Day SANE Setpoint Diet: Evelyn Lewis Drops 3 inches In Her Waist in 3 Weeks! 21-Day SANE Setpoint Diet: Janice Stefane Dropped 14 Pounds in 3 Weeks! https://sanesolution.com/wp-content/uploads/2015/02/Janice2-297x300.png 300 297 7728pwpadmin https://pages.sanesolution.com/wp-content/uploads/2018/01/sanepages-logo.png 7728pwpadmin2015-02-15 14:51:122018-09-03 14:41:3421-Day SANE Setpoint Diet: Janice Stefane Dropped 14 Pounds in 3 Weeks! 21-Day SANE Setpoint Diet: Karen Sunderland Lost 2 Dress Sizes in 3 Weeks! https://sanesolution.com/wp-content/uploads/2015/02/Karen2-300x296.png 296 300 7728pwpadmin https://pages.sanesolution.com/wp-content/uploads/2018/01/sanepages-logo.png 7728pwpadmin2015-02-15 13:30:022018-09-01 14:59:1421-Day SANE Setpoint Diet: Karen Sunderland Lost 2 Dress Sizes in 3 Weeks! 21-Day SANE Setpoint Diet: Laura Skauge Lost 5 Inches off her Waist in 3 Weeks! https://sanesolution.com/wp-content/uploads/2015/02/Laura6-296x300.png 300 296 7728pwpadmin https://pages.sanesolution.com/wp-content/uploads/2018/01/sanepages-logo.png 7728pwpadmin2015-02-14 17:21:542018-10-02 20:31:5421-Day SANE Setpoint Diet: Laura Skauge Lost 5 Inches off her Waist in 3 Weeks! 21-Day SANE Setpoint Diet: Lisa Wells Shed 15 Pounds in 3 Weeks! https://sanesolution.com/wp-content/uploads/2015/02/Lisa2-198x300.png 300 198 7728pwpadmin https://pages.sanesolution.com/wp-content/uploads/2018/01/sanepages-logo.png 7728pwpadmin2015-02-13 20:45:442018-09-03 14:43:1621-Day SANE Setpoint Diet: Lisa Wells Shed 15 Pounds in 3 Weeks! 21-Day SANE Setpoint Diet: Cindy McLaughlin Lost 10 Pounds in 3 Weeks! https://sanesolution.com/wp-content/uploads/2015/02/Cindy-169x300.png 300 169 7728pwpadmin https://pages.sanesolution.com/wp-content/uploads/2018/01/sanepages-logo.png 7728pwpadmin2015-02-13 13:34:542018-09-03 14:43:5921-Day SANE Setpoint Diet: Cindy McLaughlin Lost 10 Pounds in 3 Weeks! 21-Day SANE Setpoint Diet: Terri Weiner Dropped 5 Pounds and 2 Inches in 3 Weeks! https://sanesolution.com/wp-content/uploads/2015/02/Teri2-275x300.png 300 275 7728pwpadmin https://pages.sanesolution.com/wp-content/uploads/2018/01/sanepages-logo.png 7728pwpadmin2015-02-12 13:13:212018-09-03 14:44:5921-Day SANE Setpoint Diet: Terri Weiner Dropped 5 Pounds and 2 Inches in 3 Weeks! Rodney's In Progress Story - Lower A1C and Better Health! https://sanesolution.com/wp-content/uploads/2019/04/rodney.jpg 563 616 TeamSANE https://pages.sanesolution.com/wp-content/uploads/2018/01/sanepages-logo.png TeamSANE2015-02-11 14:02:192019-04-11 14:07:25Rodney's In Progress Story - Lower A1C and Better Health! Jane's SANE Success: Motivated and Moving! https://sanesolution.com/wp-content/uploads/2017/12/Jane-Freeman.png 739 520 TeamSANE https://pages.sanesolution.com/wp-content/uploads/2018/01/sanepages-logo.png TeamSANE2015-02-10 11:35:072018-07-24 22:24:25Jane's SANE Success: Motivated and Moving! Lavanya’s SANE Story: From Excess Weight and Knee Pain to Feeling Stronger and Being Pain Free! https://sanesolution.com/wp-content/uploads/2015/02/Lavanya1-300x300.png 300 300 7728pwpadmin https://pages.sanesolution.com/wp-content/uploads/2018/01/sanepages-logo.png 7728pwpadmin2015-02-09 18:13:152018-09-01 07:30:10Lavanya’s SANE Story: From Excess Weight and Knee Pain to Feeling Stronger and Being Pain Free! * Testimonial Disclaimer: All testimonials were written by actual members of SANE Solution. Results may vary. Please consult a physician before beginning any exercise or diet program. Got Your Own SANE Success Story? Please let us know at Service@SANESolution.com! You are the reason we wake up everyday and we can’t wait to celebrate your success with you! Wait? Is It Really All About Weight? How to measure success in relation to health and fitness. Weight and body mass index (BMI). She is 5’5” and weighs about 140lbs (she’s also a genius CPA and tax manager and my best friend). Her height and weight gives her a BMI (body mass index) of ~24. Perhaps I’m biased, but I still get chills from her striking beauty here (and each day I see her smiling face). How we measure our health and fitness matters, and we have to do it right. So to be perfectly clear, as you start going SANE: BMI and weight are inaccurate and unhealthy ways to measure success. At best, these measurements distract from what really counts. At worst, they are unhealthy and fattening in the long term. What matters is how well her dress fits, how lovely and elegant she looks, how she feels and the radiance of her smile. And how many of us know someone whose short-term weight loss “success” was soon followed by even more weight gain. If you want to be successful with your SANE Plan, get rid of your scale. Feed it to the trash can. Let your kids beat it with a baseball bat. Back over it with your car. …tweet to @jonathanbailor and post them to the SANESolution facebook page. What your scale says has nothing to do with how we define success in your SANE Plan. We’re focused on how you look and feel long term. There are millions of people who weigh a little and look and feel broken, while there are millions more who weigh more and look and feel wonderful. Why am I so adamant about avoiding this traditional measure of success? First, as we know from what’ve seen with SANE already, being traditional has nothing to do with being correct or useful. Second, as a measure, it is relatively easy to manipulate. Want to make your scale as happy as possible in 48 hours? Do not eat anything other than diuretics and stimulants and exercise as much as possible while wearing multiple layers of clothes in a hot room. The circumference of your waist. Skip the $99 scale and treat yourself to a 99¢ measuring tape. Many people have found this to be one of the most difficult steps to fully adopting a SANE lifestyle because their baseline of “good” or “success” associated with health and fitness is directly tied to their scale. And it has been that way for their entire lives. I am therefore asking you to immediately stop doing something you have done for as long as you can remember. That is a big request, and I know it. But making a commitment to stay away from scales for at least three months is critical if you are interested in long-term fat loss and robust health. Because scales focus us on inSANE short-term weight loss instead of long-term fat loss and robust health. …think short term and evaluate your progress using a scale. However, if you are anyone else, think long term and evaluate your progress with a measuring tape. …more than 90% of the initial weight lost via traditional quick-fix techniques comes from shedding water and burning muscle. SANE living does not dehydrate you and develops metabolism-enhancing muscle instead of destroying it. Give yourself a break from worrying about weight. Commit to making the fundamental metabolic change that enables you to look and feel better for the rest of your life while lowering your risk of diabetes, heart disease, and cancer.